mix together and make burger patties. 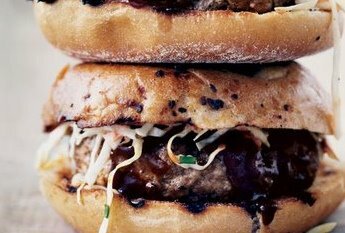 Grill burgers and top with your favorite bbq sauce and sprinkle with slaw mix. We grilled onion rolls which were really yummy! I also made a big platter of grilled veggies.